Located on Florida&regs Space Coast in Central Florida the newly renovated Holiday Inn Melbourne-Viera and Conference Center is located within minutes of Duran Golf Club, The Avenues of Viera, Maxwell C. King Center for the Performing Arts, Brevard Zoo and Space Coast Stadium home to the Brevard County Manatees and the Washington National&regs Spring training. Known locally as &regThe Hotel of the Stars&reg the hotel has played host to many performers from the King Center as well as many prominent sports teams. The Holiday Inn Melbourne &reg Viera and Conference Center is centrally located placing the hotel in close proximity to all Brevard County has to offer beautiful beaches, Kennedy Space Center, Ron Jon&regs Surf Shop, golf, Port Canaveral and within an hours drive to Walt Disney, Universal and Sea World. We are conveniently located at I-95 at exit 191 Wickham Road making drive time for the corporate traveler to most area corporations such as Aeronix, Harris, Boeing, Lockheed Martin, Rockwell Collins, DRS, Northrop Grumman, Patrick Air Force Base, NASA or Intersil convenient and hassle free. 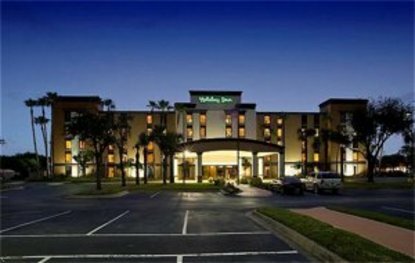 The Holiday Inn Melbourne -Viera and Conference Center features seven state-of-the-art function rooms ranging from 324 to 5445 square feet with extensive audio visual equipment and video conferencing. Whether it is social or corporate, business or family vacation&regRelax it&regs Holiday Inn This hotel is committed to providing accessible facilities under the American Disabilities Act. If your accessibility needs are not met, please contact the Hotel Manager on Duty. Should you require additional information regarding accessible facilities for guests with disabilities, please call 1-800-Holiday (U.S. and Canada) or contact the hotel directly. For the hearing impaired, TDD service is available at 1-800-238-5544 within the U.S. and Canada.